Decided that you want to open carry a gun and wondering how you go about it? It's fairly easy to open carry, as long as you take the proper steps. 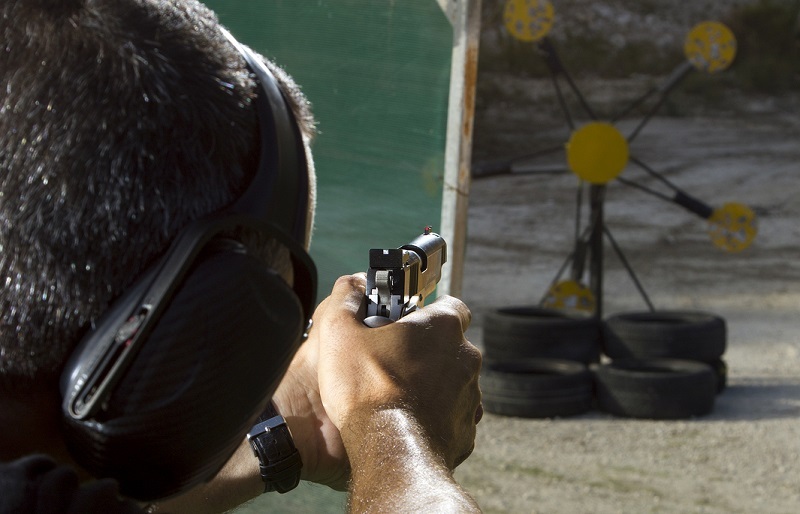 Here are five easy steps that will take you from unarmed to open carry with ease. 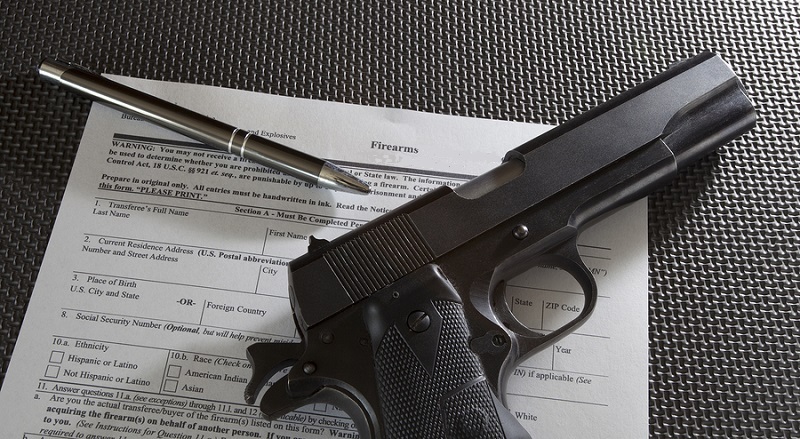 The first step to starting to open carry is getting your gun permit, if you must. Only a few states allow permitless open carry or constitutional carry, so you had better do your homework before walking out the door wearing a pistol. If you are required to be licensed, get your permit first. This will involve an application process, fingerprinting, and some fees. A training course may be required or not; consult your state laws and find out what the license requirements are. However, once you have received your license, you have the first piece of the puzzle. Make sure your license is on your person at all times. Make sure that you are legally able to open carry where you intend to open carry. Ignorance of the law is no excuse and you deserve any legal consequences that result from carrying illegally due to negligence. This is a bit subjective, but after licensure, one must then select an open carry gun. Yes, you can do it with any pistol you have. Some states allow one to open carry long guns, even if open carrying a long gun is...let's say a wee bit garish. What is a good open carry pistol? Well, that's kind of up to the individual carrier. Some people would say a pistol with a maximum number of safety features is optimal, meaning a manual safety that can be engaged in Position Two - loaded, uncocked, safety on. Some favor as little safety mechanisms as possible. That's one reason some people prefer Glocks and other pistols with only a trigger safety over other designs as carry pistols. The reason it bears mentioning is that safety has to be one of your top concerns. If you are concerned about the pistol you have, it's not fit to be carried. Now that you've been licensed and have a pistol in mind to carry, it's time to get open carry gear. First is a holster. There are plenty of holsters out there for open carry; it's up to the wearer. Waist and thigh rigs are the most popular for open carry. 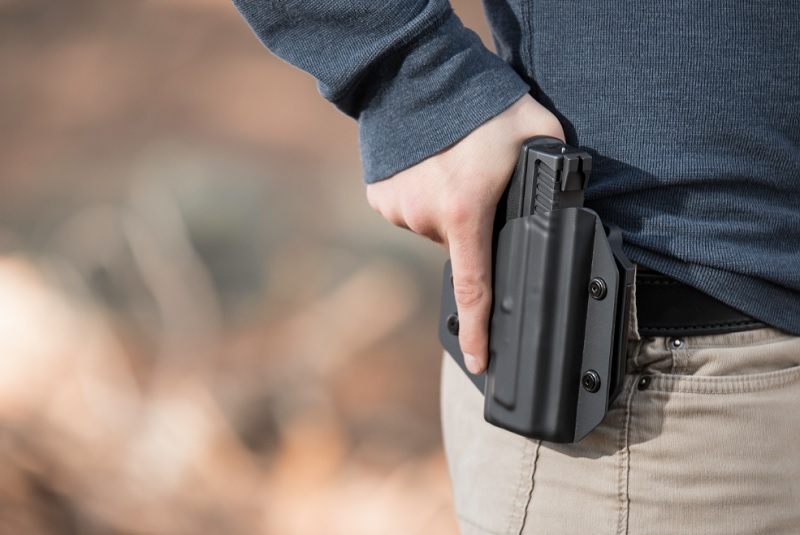 A lot of open carriers will choose an outside the waistband (or OWB) holster. These are pretty much what they sound like - the holster is belted to the outside of the waistband. You can open carry using an inside the waistband (or IWB) holster, but you have to tuck your shirt behind the holster so the gun is visible in plain sight. Thigh holsters are also very popular and highly "tacticool." It's a wildly popular tactical accessory, so don't look for a "dress" version. Shoulder holsters can be open carried, but they are not comfortable. Not many carry with shoulder holsters as it is and there's a reason for that. (Mostly because they aren't very practical.) You could also construct a chest carry rig not unlike what the military wears, but one imagines those aren't that comfortable either. Which holster is best is subjective. If you're going to open carry, it would be a good idea to choose a holster with some sort of active retention and a softer padding instead of just leather on the back. A gun belt may not be needed if one doesn't carry on the waistband. However, if you're going to carry on the waistband, you need one. A gun belt provides more retention force than the normal fashion belt, and the need for your gun to stay where it's secured cannot be understated. If you are going to carry, and especially if you are going to carry for all to see, the safety of your gun is your responsibility. 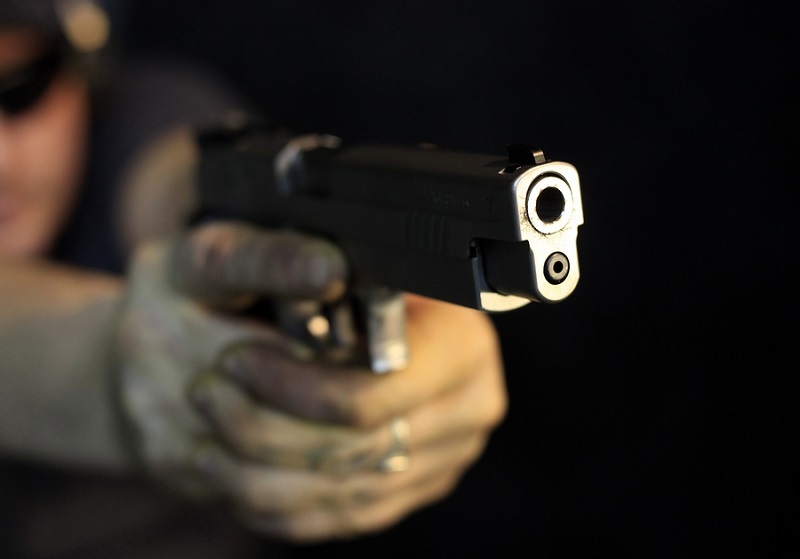 Sagging guns, loose holsters, these are major hazards. Your gun can slip out and fall, possibly discharge accidentally, or be taken by someone who will do harm with it. It is YOUR job to make sure that doesn't happen. So you need a secure holster, and if you're going to carry on the waistband, you need a gun belt. 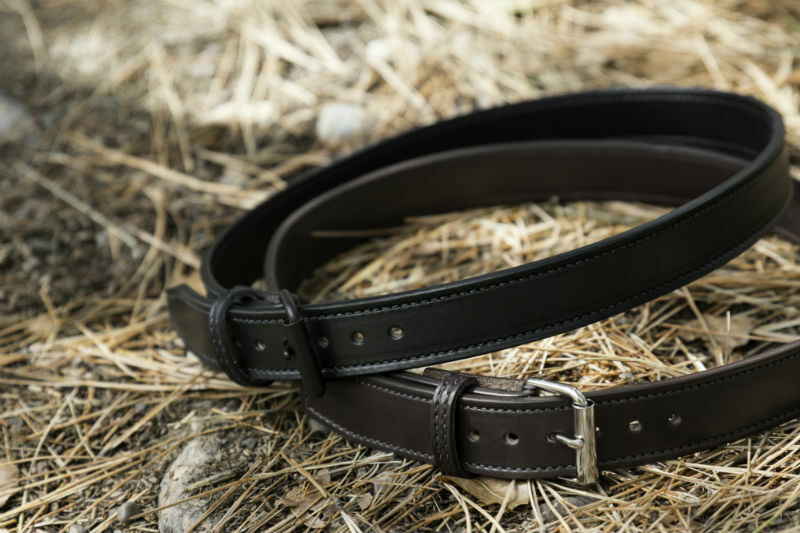 Be it a leather gun belt or nylon gun belt, whatever, it doesn't matter; you need one. 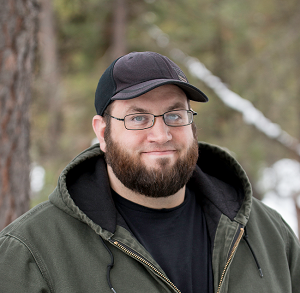 Before you start open carrying regularly, go on a trial run. Maybe not literally a run, mind you, but once you have your belt, holster and gun assembled, learn how they perform as you do various things. Wear your gun and holster around the house, while doing chores and so on. If your firearm can stay secured during moderate or even heavy activity, that lets you know you've created a secure carry set up. Hunt? Fish? Hike? Wear your pistol in the woods. 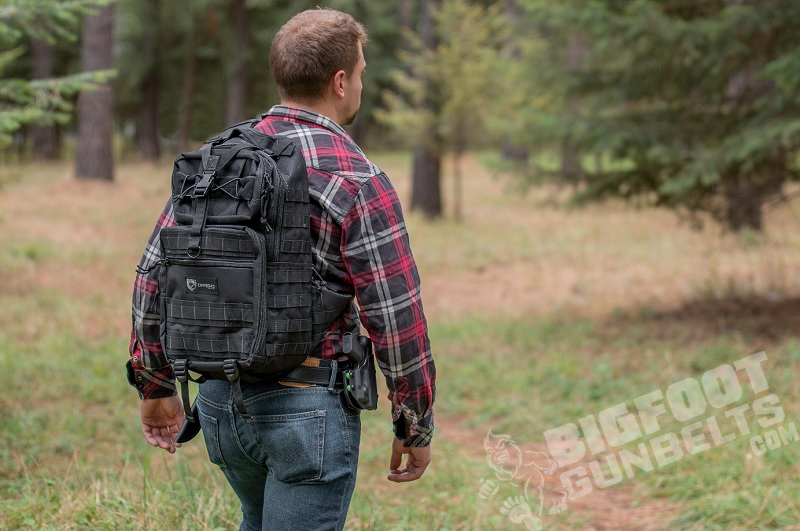 Don't necessarily use it (not all handguns can be hunted with, nor legally used to deliver a coup de grace on downed quarry) but traipsing around the woods a bit will also give you an idea of how your carry set up handles. In short, if you mean to do this and do it daily, then you better know for sure that your carrying system is going to work. It's best to experiment in lower-risk environments.